So I am on a diet. I look OK from the front but pretty poor from the side. God knows what I look like from behind but I suppose I cannot be a complete narcissist as I have never tried to find out. My diet is no carbs, which has worked before but is actually very difficult in Japan. Every meal here comes with rice or noodles and due to the amazing bakeries on Okinawa, I have been eating a lot of bread and croissants and stuff. I do not care about my health or anything. The reason for the diet is simply so I look good or that I perceive that I look good or I think that other people think I look good and on and on. I eat a lot of sashimi,a lot of salad but I mainly eat elaborate soups. 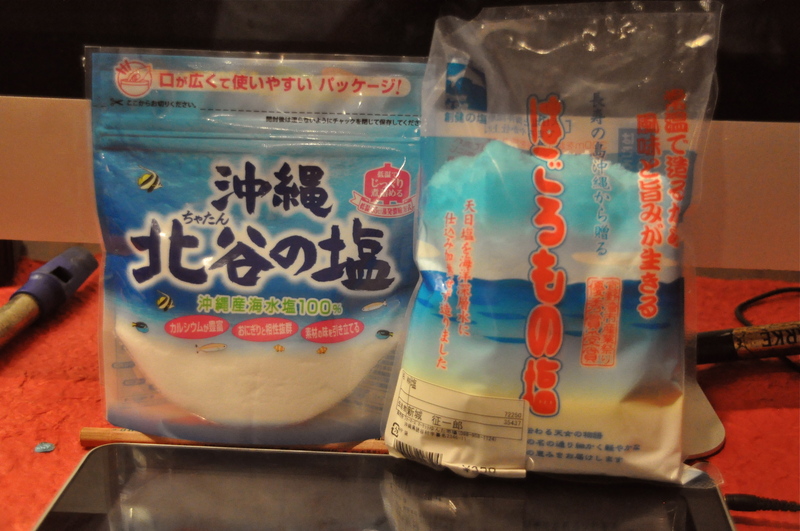 In Japanese supermarkets you can buy fantastic stock for which the Japanese is something like ‘Daschi.’ It is really good and comes in of course a plastic bag and in several flavors – Pork, Fish, Vegetable, Beef, raspberry etc. 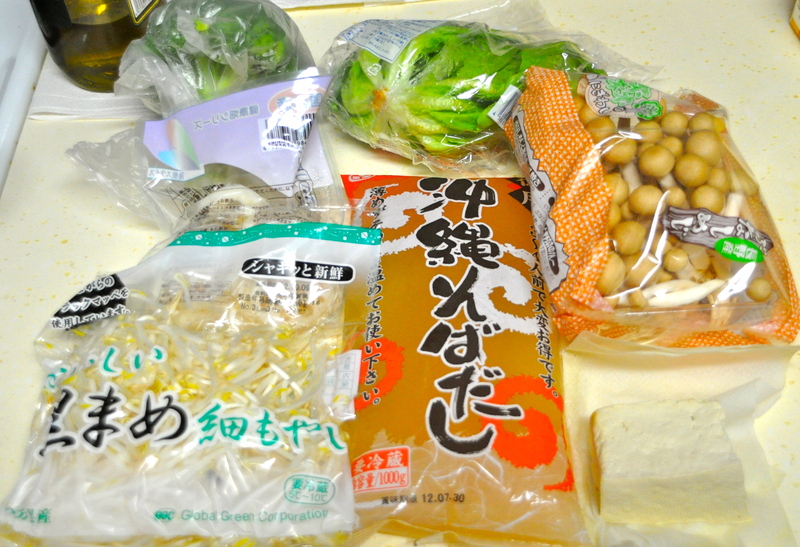 In the stock I place mushrooms, tofu, bean sprouts and previously prepared lump of meat and voila Soba sans Soba. This a I savour with salt. Salt is different on Okinawa, maybe all Japan. My take on salt coming here was hard arteries, no good, don’t do it. Here salt is like organic. It is pure and healthy. It gives you all kinds of fringe health benefits. To be cool you have to be able to talk about different varieties as in France you would be expected to talk about different wines. Far flung parts of the island have different salts whose tastes’ differ depending on what kind of detritus and decay products are in the ocean. This is the salt I have at the moment. Check this video which is amazingly in English.